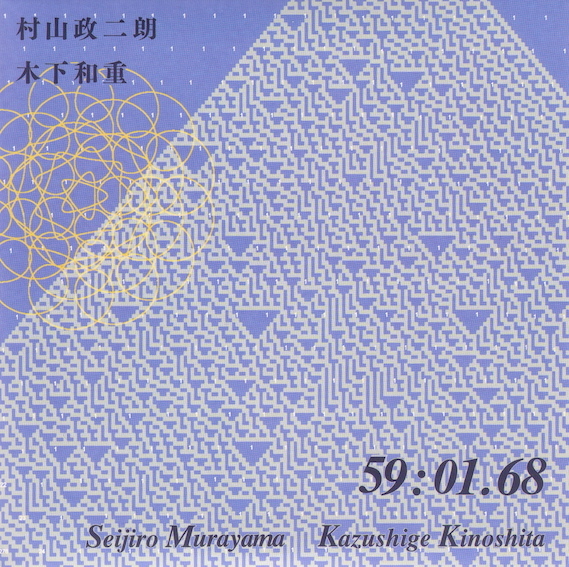 each of them inserted several moments of silence (timing and duration) in a framework of "composition for improvisation (11 min x 5)" so as to give it a time structure (the idea came from Murayama). but eachone did not know what was decided by the other two. 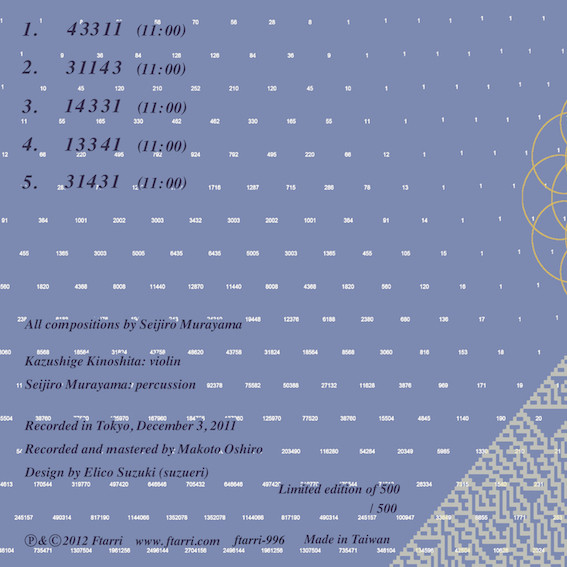 the duration of the recording was chosen as the titre of the CD. the recordings were done only once ( in particular, a pair of microphones were put outside). without any mixing, during or after the recording. Oshiro's silence: he put the recording level to zero. the musicians' silence: they didn't make any sounds following the composition (but also they sometimes made silence during their improvisation). silence generated by only one "intention" (of impro, or of the compo), or by two intentions (doubled or superposed silence), or by three (tripled by everyone). though the sonic apprearences of each silence does not seem so different, its contents are not exactly the same. of course, the most important thing was how this piece was interpreted or played by the musicians. that of John Cage (4:33), then that of the experience of "sudden death" in the earthquake-tsunami-Fukushima catastrophy in Japan (3/11, 2011), and in the end, that of today's "our silence." i think these are the 3 types of silence we could live actually in improvisation.